The Library is closing early at 4:00 pm today, Wednesday, February 7, due to the snowstorm. The poem below was shared with us by our friend Jane. 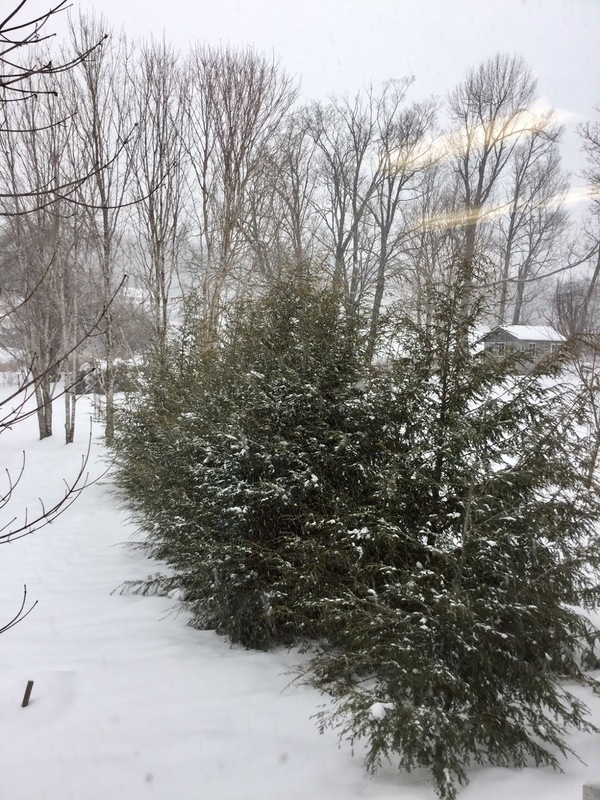 A row of Hemlock trees seen through the rear window of the library during today's snowstorm.